Market your brand through tri fold flyers. Make a list of your products and services on your flyers and distribute them for promotions. Highlight specific products like your specialty menu for your restaurant or announce a new product release of your gadget shop. Attract customers by including high resolution images of your products. Show the quality of your brand and impress people through your flyers. 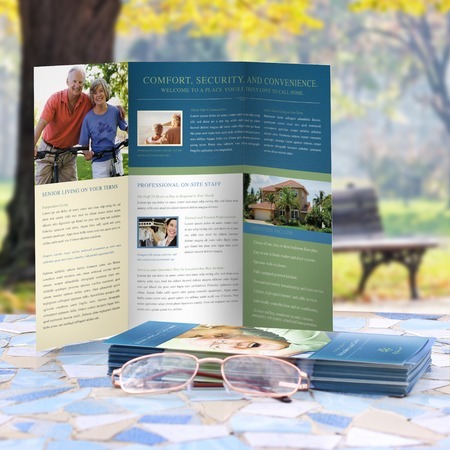 Tri fold is the most popular folding option for business flyers. These have three panels with the rightmost panel folded inward, followed by the first panel. This provides more space to show images and information about your offers. Print tri fold flyers at UPrinting.com in various size options. Choose from standard sizes, 3.5” x 8.5” to 11” x 17” or opt for custom sizes from 2” to 28”. Select from 10 pt., 70 lb., 80lb., and 100 lb. in paper or cardstock gloss or matte. Order from 50 to 100,000 pieces and have them shipped as fast as 1 business day. Printing cost starts for as low as $11.58. Dial 1-888-888-4211 for more details.